The European Permaculture Teachers’ Partnership (short: ‘EPT’, European PC Teachers) was started as a project funded under the EU-programme Leonardo DaVinci. This funded project had 12 official Partnership organisations and several non-funded Partner organisations from all over Europe. Over the years, the number of organisations that belong to this network is growing, as is the number of people involved in it! A large number of people is involved in the EPT – mainly teachers or staff working for and students learning at the Partner organisations. A lot of the work is happening at EPT-meetings, which have been hosting between 35 and 50 participants from 12+ countries, out of which there were 1/3 newcomers each time. 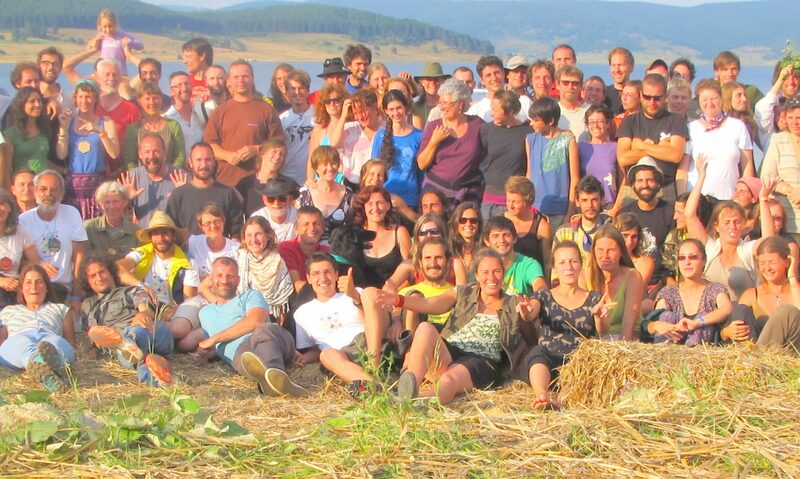 As the EPT aims towards a big and stable european network of Permaculture teachers, many Partnership organisations try to send different people to the meetings. Of course this also creates interesting challenges to the hosts, the process team which designs the programme and to the working groups! Some faces behind the project can be seen in the Permanaut Gallery. A growing number of organisations is involved in and associated with the EPT-project – some got EU-funding, others didn’t, many participated directly in the meetings, others contributed via Skype or e-mail to our work. An Overview of all Partners involved can be found here. More detailed descriptions of many of these organisations can be found under Educational Structures. If you want to add a description of your own organisation, please follow this link.